First time in Indian Wells: Austrian – Canadian semifinal! This year is the first time in BNP PARIBAS OPEN tournament history that an Austrian and a Canadian player meet in a semifinal (men’s + women’s singles) when Dominic Thiem will clash with Milos Raonic. Last time when an Austrian male player played here in a semifinal Thomas Muster lost vs Canadian-born Greg Rusedski in 1998. . . . He was born in Bristol, educated at Millfield School, in Street, Somerset. He started playing tennis at Fishponds and Bristol Lawn Tennis Clubs at the age of 11. In Davis Cup, he represented Great Britain in two ties (1-2 record). In 1968, he made the third round of the men’s singles at the French Open . . .
European men rules Indian Wells’19! European men rules Indian Wells’19! After 1987 and 2015, this is the 3rd time in Euro BNP Paribas Open tournament history since 1974 that all of the last 8 players on the men’s side were born in Europe! In 1974: Stefan Edberg, Miroslav Mecir, Mats Wilander, Jakob Hlasek, Yannick Noah, Thierre Tulasne, Boris Becker and Emilio Sanchez. . . . Bizarre BNP Paribas Open 2019: Yoshihito Nishioka as the last Japanese and Ivo Karlovic as the last Croatian ( as well as the oldest player in the draw) in R16. A Lucky Loser plus a Qualifier from Serbia (Miomir Kecmanović + Filip Krajinovic ) longer ‘alive’ than Novak Djokovic. Men + women No.1s are out . 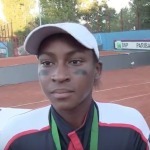 . .
Cori “Coco” Gauff was interviewed after Team USA won ITF Junior Fed Cup’18 in Budapest, Hungary. 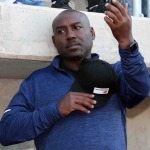 Corey Gauff, former Georgia State University basketball player, was interviewed after his daughter, Cori ‘Coco’ Gauff and Team USA won ITF Junior Fed Cup’18 in Budapest, Hungary. Budapest (Hungary) and the Hungarian Tennis Association hosted the ITF junior Davis and Fed Cup event on September 25-30. 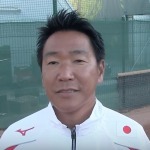 At the end of the tournament, the Japanese junior Davis Cup team finished 5th in the overall standing beating Denmark by 2-0 on the last day. Before the award presentation ceremony, Ko Iwamoto, the captain, evaluated . . .
Queen’s Club and Wimbledon: the historical streak alive? In 2008, Rafael Nadal won the Queen’s Club championships as the 2nd Spanish player (and the 1st in the Open-era). Then, he claimed his first Wimbledon title. 5 years later, in 2013, Andy Murray succeeded the aforementioned QCC (defeating Cilic) and two weeks later he collected his 1st trophy in Wimbledon! 5 years passed by again…in 2018, Cilic . . .